HomeBook Review: The Krishna Key – Much more than a novel! Book Review: The Krishna Key – Much more than a novel! On the surface, author Ashwin Sanghi’s The Krishna Key is a chase-oriented action thriller. But deep within, it is much, much more. The author has managed to enlighten about the glory of India’s ancient civilization while narrating a modern tale set in today’s times. The end result is a unique mixture of spiritual enlightenment and page-turning thrill. The Krishna Key revolves around Ravi Mohan Saini, a historian in his 40s and scholar of sorts when it comes to epics like Mahabharata. He gets the shock of his life when he is accused of murdering his childhood friend Anil Varshney, an archeologist and linguistic expert. Varshney was on the verge of discovering a secret related to Lord Krishna, buried 5000 years ago. Taarak Vakil, who considers himself as Kalki Avatar, the tenth incarnation of Lord Vishnu, has committed the crime on the orders of Mataji. Out of nowhere, Saini gets a chance of proving himself innocent. For this, he needs to discover hidden meanings into ancient scriptures by traveling various places of importance. During the course of his secret investigation, Saini also tries solving the question of the existence of Lord Krishna. The Krishna Key gets you hooked from the very first sentence itself. It is an example of an interesting and intriguing story narrated in an un-put-down-able manner. There are regular twists, which become more thrilling due to Sanghi’s manner of disclosing them. A few chapters are smartly left hanging, adding more excitement. The extended climax makes sure the book ends on a spiritually enlightening manner instead of mere action. What makes the book more appealing is that he has managed such high quality of narration despite using simple words and sentences. So it manages to catch the interest of a person from vernacular background as well as someone interested in rich literature. But the biggest reason that sets The Krishna Key apart is the ancient disclosures that it presents. They aren’t mentioned just for the sake of it. Sanghi has given references of a long list of real findings about the Vedic age and woven them intelligently around a fictitious tale. And most of these findings will truly amaze you and make you feel proud of our civilization. Although few appear unwanted, they are so fascinating that you don’t really mind it. – The same planetary movements that were seen on the day the Mahabharata war took place were also seen on 9/11. – Russian Professor A A Gorbovsky found an ancient skull on the site where Kurukshetra war took place. After studying the skull, it was found that it is 5000 years old and, most interestingly, it emitted nuclear radiations, indicating nuclear weapons being used in the Mahabharata war. – Rigveda mentions that sun travels 2,202 in half a nimesha. Hence, sunlight travels at 186000 miles per second. The modern calculation of speed of light comes extremely close to 186000. – J Oppenheimer quoted Bhagavad Gita after first successful test of atom bomb. – Badshahnama, the complete account of Shah Jahan’s reign, mentions his beloved wife as Arjumand Banu Begum instead of Mumtaz Mahal. – The dome at Bhabha Atomic Research Centre (BARC) and its surroundings are modeled on Shiv Linga. As real Shiv Lingas emit radiation, it is necessary to pour water on it from time to time. Water is poured on BARC dome for the same reason. – This is just the tip of the iceberg. The total of such findings and lesser known facts easily go up to more than 100. Amidst such positives, the book also has its share of negatives. A number of incidents and turns fall in the masala Hindi movie genre. Few mysterious questions remain unanswered. At times, there is an overdose of knowledge, which slightly shifts focus from the main story and increases the length. Thankfully, these points don’t hinder much of the enjoyment. 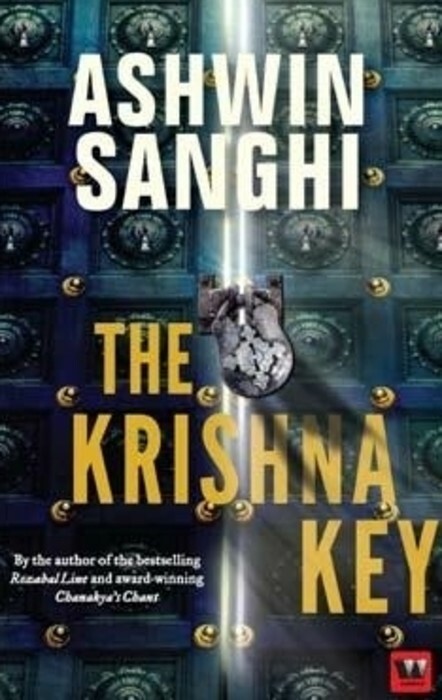 Overall: Ashwin Sanghi’s The Krishna Key is much more than merely a thriller novel. The dome of the Cirus reactor at BARC, Mumbai has the shape of a Shiva Linga. But it was never designed with a Shiva linga in mind. The design is for best structural integrity. The structure is called a barrier or containment and is designed such that it shouldnot collapse due to internal or external pressure. The containment is provided so that in case of any eventuality, the radio nuclides from inside should not come out into the atmosphere. Further, CIRUS is Canadian reactor. And no water is poured on the CIRUS done. It gets washed only during the Mumbai rains.